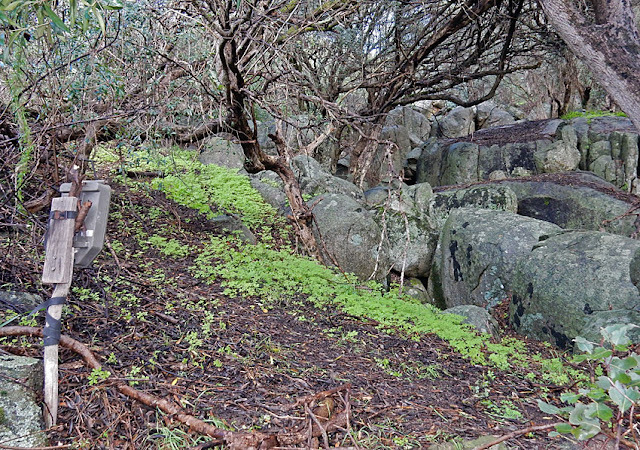 I've been camera trapping at Paarl Mountain Nature Reserve for over a year now. In that time I've only recorded a handful of Caracal observations. 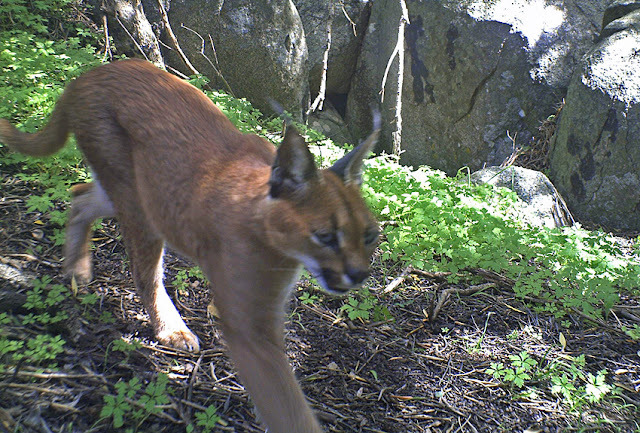 Caracal were rather common in the other nature reserves I've camera trapped in the past. I'm assuming that something about the habitat doesn't appeal to them. Nonetheless it didn't prevent me from finding one running over the road one sunny day. 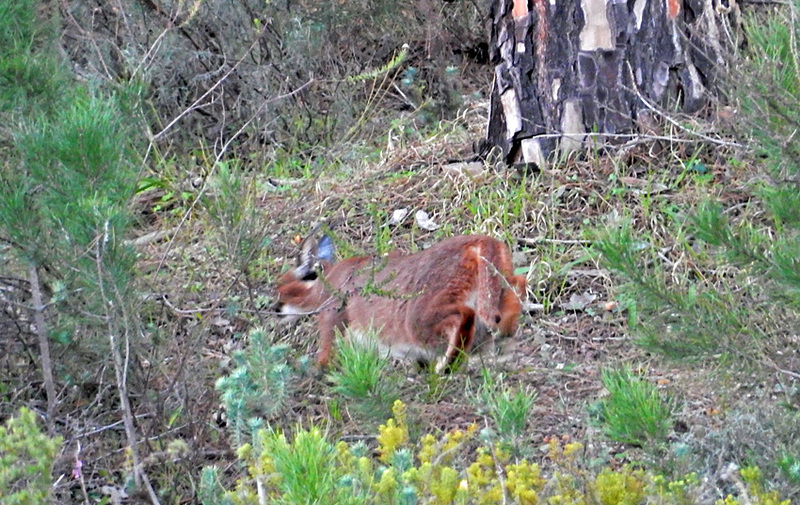 I was able to snap a quick photo of the animal sneaking away into some pine trees. Some time later, at the opposite side of the reserve, I got my first "decent" camera trap photograph of a Caracal. The photo was taken by my old Cuddeback Capture camera trap. I've been using it extensively since back in 2010 and I'm not sure how much longer it is going to last. I'll be sad to lose it, because it is by far my best white flash camera trap and leaps and bounds better than what I've seen from any newer Cuddeback model that came after it.